This time sourced from bestrecipes.com, this one was a keeper. 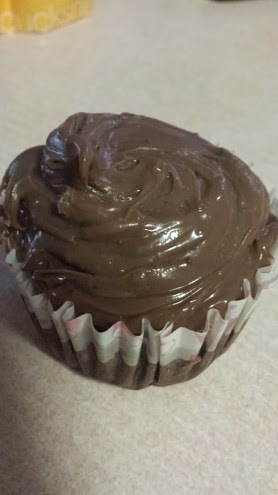 A perfect cupcake base, yet simple enough to be tossed together and baked in just under an hour this recipe is the one to use! 1) sift together dry ingredient and then add sugar. 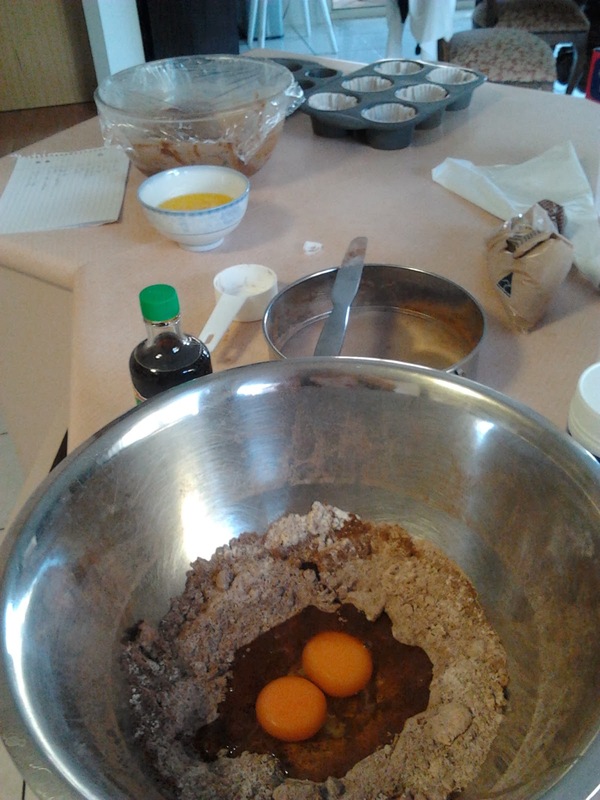 2) Make a small well in the center and add the rest of the ingredients. 4) Place patty cases in muffin tray and fill them just above halfway with the batter. 5) Bake 10 min for mini muffin tray or 16 min for regular muffin tray. 6) Cool and ice or just leave plain. Taste: 9/10: Chocolatey enough without being overbearing, this is perfect to go with flavoured icing. Texture: 9/10: A lovely cakey texture, not dry and not too heavy. Difficulty: Easy: After I had all the ingredient and utensils out on the kitchen bench, Pumpkin and I made these in under 15minutes and they were baked in another 15 minutes, we cooled them quite fast using a fan. Overall: 9/10, delicious chocolatey yet light. Definitely making these again next time with nicer patty cases and actual icing bags and maybe some shiny cachous. Taste: 8/10 Got the chocolate taste. Texture: 8/10 Soft and spongey. Make sure you whack on a 6 inch layer of ganache, otherwise it'll taste a little dry, and who doesn't love extra sugar. Difficulty: Easy. Just mix and bake. Overall: 8/10 This super simple recipe is great for tea parties.